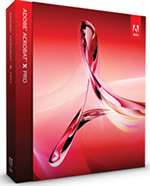 Adobe released the new version of its PDF Reader tagged as the ‘Adobe Reader X’. The new version comes packed with tightened security and a more friendly user interface. Along with the viewing software, the PDF creation software, Adobe Acrobat has been upgraded as well. PDF files are widely used everywhere in almost all types of environments being it business, home user or tech experts. An organized form of text files which deliver perfect or originally designed book-styled format. PDF is used everywhere, and what we want to do is make sure we have the best tool for consuming and interacting with PDFs. The Reader X will feature a sandbox, which is security move made by the company to limit the access that PDF-based scripts can have over the user’s OS, reducing the attack surface that PDFs typically provide. For years, PDF readers have been vulnerable to attack by malicious hackers who have chosen it as a platform to launch attacks. If anything malicious happens in the context of that client software, you are much more protected when it’s run in a sandbox environment. The reader has also been upgraded as the company estimates more than 50 percent views made directly from the browser. Viewing PDF within a browser gives the user two sets of interfaces as the user is presented with a nested interface. The new minimal interface, basic functions which include printing, searching or moving forward or backward in the document can be called directly from the browser menu items or shortcut keys. The new interface is compatible with browsers such as Firefox, Internet Explorer and Safari, while efforts are being made to make it compatible with Google Chrome. Adobe has also started offering a new service through Reader which will allow users to share PDFs through an Adobe-hosted location on the Web. Along with the Reader, Adobe also updated the flagship software, Adobe Acrobat, which now comes packed with a feature called Actions. This new feature allows administrators to set up a custom workflow that walks users through a sequence of actions when creating a PDF. Acrobat X standard version is priced at $299 for a new copy and $139 for an upgrade.